Critical Music recently announced the new project from drum & bass ambassadors Sabre, Stray & Halogenix, Ivy Lab. 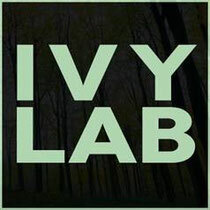 Having released ‘Oblique’ ft Frank Carter III on Critical at the start of last year as a trio, so they feel the time is right for the next stage and the birth of the Ivy Lab. According to the label’s PR, fans can expect some of the most emotive, soul searching and most accomplished drum & bass you’ll have ever heard in recent times. Friction premiered the forthcoming Ivy Lab single ‘Afterthought’, also featuring Frank Carter III, on BBC Radio 1 Drum & Bass show at the weekend. To celebrate their arrival they’re also giving away for free the VIP version of ‘Oblique’, all you have to do is ‘like’ their Facebook page to gain access to it: www.facebook.com/IvyLab.